FABRICATE is an international peer-reviewed conference with supporting publication on the theme of Digital Fabrication. Discussing the progressive integration of digital design with manufacturing processes, and its impact on design and making in the 21st century, FABRICATE brings together pioneers in design and making within architecture, construction, engineering, manufacturing, materials technology and computation. Discussion on key themes include: how digital fabrication technologies are enabling new creative and construction opportunities from component to building scales, the difficult gap that exists between digital modelling and its realisation, material performance and manipulation, off-site and on-site construction, interdisciplinary education, economic and sustainable contexts. We are excited to have secured this timeless FABRICATE.org domain which is intended to become the industry landmark resource for Digital Fabrication. A place where makers showcase their work through stunning stories, presented in-depth, focusing both on process and results. Using new formats, seamlessly blending video, text, high resolution imagery and interactive infographics, the stories will present an ongoing visual overview of the status of the works, the achievements, lessons learnt, next steps etc. This initiative is set to further strengthen FABRICATE’s relationship with practices and academia by giving them ongoing exposure and publicity, while encouraging them to submit work for the FABRICATE conferences. It is also aiming to build long lasting partnerships with sponsors and patrons. Do get in touch with us if you are interested in becoming a part of this space. 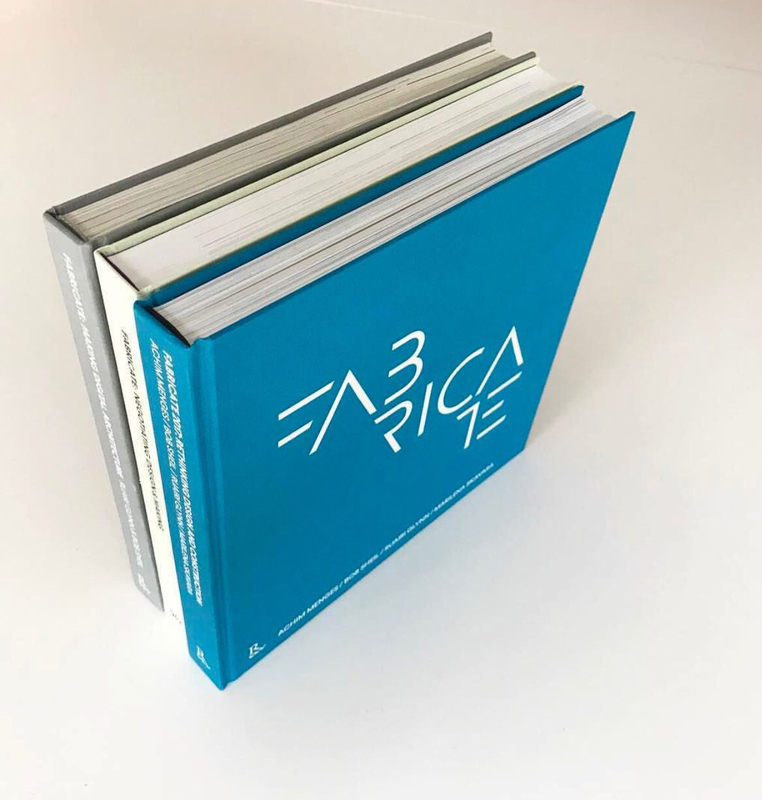 The stunning hardcover book comprises 32 illustrated articles on built projects and works-in-progress received from both academia and practice via a Call for Work. Punctuating these articles are a series of conversations between the conference Keynotes and world-leading experts. A complimentary copy is given to all conference attendees as part of their conference packs. Both English editions and the Chinese version of the 2011 book were sold out. All three editions (2011, 2014 and 2017) were recently released as e-books with over 35,000 downloads to date (March 2018). Contributions include work from leading practices such as Foster + Partners, Zaha Hadid Architects, AKT, Jean Nouvel Architects, Arup, BuroHappold, Amanda Levete Architects, Bollinger+Grohmann, DShape, Ron Arad and Autodesk and world-renowned institutions including ICD Stuttgart, The Bartlett UCL, Delft, Harvard, Yale, University of Michigan, MIT, CITA, IaaC, UCL, ETH, University Innsbruck, Princeton University and the Architectural Association. FABRICATE Founding Member | Director at Codica Ltd. Thank you for inviting me to FABRICATE. I had a great time and hope to come back for the next one. Such a pleasure to be a part of this extraordinary event. Thank you for running such a wonderful event. I had a great time and learnt a tremendous amount. I look forward to exploring fabricate.org in the future! FABRICATE is the most enjoyable and exciting conference, a superiorly successfull event. It has a unique and exceptionally well-working formula, making it a pleasure to channel the best of efforts. The free ebook version of the proceedings is a great addition which will help both increasing the already unparalleled impact of the conference, as well as fuelling the appetite for 2020. Interested in being a part of this?